A DoT wing has given its go ahead to Bharti Airtel-Qualcomm deal after it found that the multi-stage transaction did not violate the NIA norms, source said. 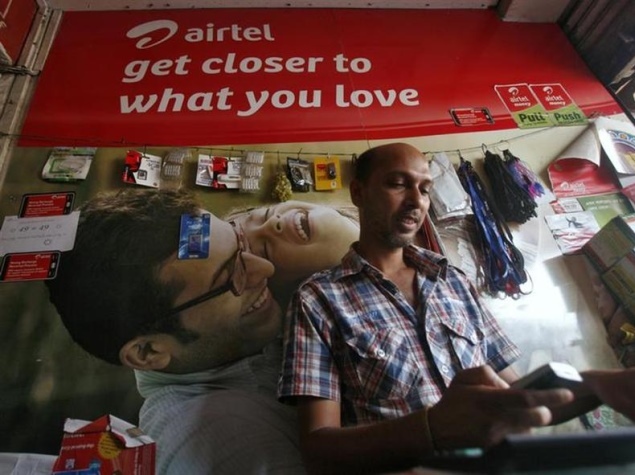 The deal in which Airtel acquired 49 percent and subsequently fully 100 percent stake in Qualcomm’s Indian venture that won 4G spectrum in four circles, had come under the DoT scanner due to change in equity structure of the licence holder Wireless Business Services (WBSPL). As per the notice inviting application (NIA) issued for the auction, a new applicant must retain at least 26 percent stake but it was not specified till what time it must be retained. The DoT had sought clarifications from the wing whether a successful bidder can reduce its equity below 26 percent in the new entrant nominee ISP company. The US firm Qualcomm’s Indian 4G venture, Wireless Business Services (WBSPL) had won BWA spectrum in 2010 in four circles of Delhi, Mumbai, Haryana and Kerala. Bharti Airtel had acquired 49 percent stake in WBSPL in 2012 and bought additional 2 percent equity in July 2013, taking the total to 51 percent. In October last year, it acquired 100 percent stake in the company. Airtel also won BWA spectrum in four service areas of Maharashtra, Karnataka, Kolkata and Punjab. According to sources, the legal division of DoT has opined that NIA does not impose any lock-in condition on the successful bidder in case of prospective new entrant company also. “The restriction of successful bidder holding 26 percent shareholding in licence company is applicable till the time of full payment of spectrum fee and allotment of spectrum,” the source added. The Department has allotted the spectrum and the company has also paid the bid amount of Rs. 4,912.54 crore.